It’s the most wonderful time of the year! 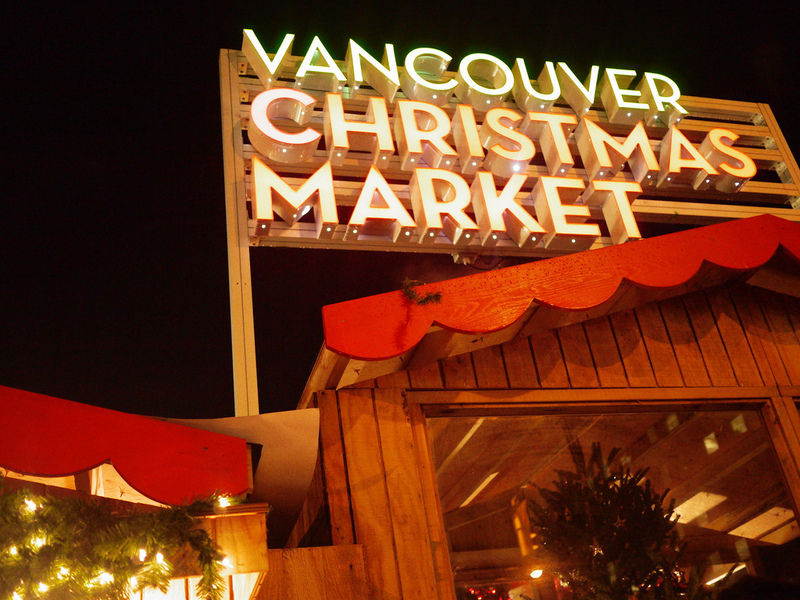 The beloved annual Vancouver Christmas Market opens for its fourth year November 22nd to December 24th, 2013, transforming Queen Elizabeth Theatre Plaza into a festive wonderland for the holiday season. Now with two extra days, the Vancouver Christmas Market offers all the old-world tradition, cultural festivities and general “Gemütlichkeit” of a traditional German Christmas market, right in the heart of downtown Vancouver. The Vancouver Christmas Market has become known as one of British Columbia’s most delightful holiday attractions. The much-anticipated event is a magical outdoor experience, featuring more than 45 traditional wooden huts decorated with thousands of twinkling white lights, all showcasing an assortment of vendors selling authentic food, handcrafted decorations, sweets and gifts. There is always something new to experience at the Market; by day or night, this is the perfect place to immerse yourself in a beautiful, festive atmosphere that is sure to get you in the holiday spirit. For the price of any paid admission, visitors will be given a FREE Season’s Pass so they can enjoy the Market time and again throughout the 33-day event. Also, come early on weekdays to beat the crowds and enjoy 2-for-1 lunch admission, making the Market the perfect place to grab a delicious midday meal with colleagues and friends. Cultural entertainment, Christmas carols, and beautiful performances will highlight your stroll through the Market as you shop for gifts, enjoy a cup of authentic Glühwein, and take a spin on downtown Vancouver’s only Christmas carousel.